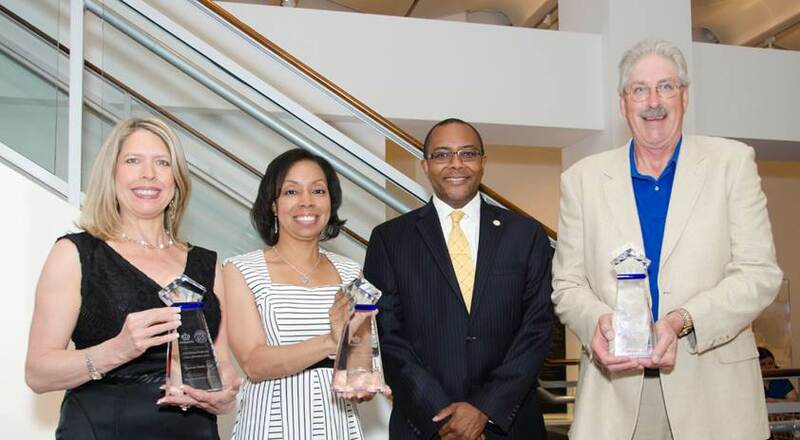 The Crowns of Enterprise Awards began as a think tank between like-minded small business advocates within the City of Charlotte and Mecklenburg County in May of 2012. We are now embarking upon our third year of recognizing and honoring small businesses that demonstrate exemplary leadership and sound business strategies. As a collective effort, we strive to acknowledge and display the hard work and resilient efforts of our local small businesses; ultimately, illustrating the positive footprint and economic impact they have on our community. See the press release below. Charlotte, NC — In celebration of Charlotte’s Small Business Month, three local small businesses were honored at the third annual Charlotte-Mecklenburg Crowns of Enterprise Awards ceremony. Hosted by the City of Charlotte and Mecklenburg County, awards were presented to the Small Business Enterprise of the Year, Minority Business Enterprise of the Year, and Woman Business Enterprise of the Year. All of the businesses that received awards were recognized for demonstrating exemplary leadership and sound business strategies. During the ceremony, Mike Ingersoll with Uptown Catering was presented with the Small Business Enterprise of the Year award. The Charlotte-based company started as a creative, small deli restaurant with a butcher shop with limited catering. Today, the company has developed into a thriving, upscale full service catering company. LaPronda Spann with Lain Consulting, LLC received the Minority Business Enterprise of the Year award. The minority-owned full service consulting firm provides nonprofit management consulting services to local and regional entities. Additionally, Nancy Braun with Showcase Realty LLC was recognized as the Woman Business Enterprise of the Year. Showcase Realty is an innovative boutique real estate firm located in Uptown Charlotte. For more information about Charlotte Small Business Month and the thousands of small businesses and entrepreneurs that make the community great, please visit: CharlotteBusinessResources.com. Pictured above (left to right): Showcase Realty LLC owner Nancy Braun, Lain Consulting LLC owner LaPronda Spann, Mayor Pro Tem Michael Barnes, Uptown Catering owner Mike Ingersoll.